Appalachian Chorale, a combined student/community choir of some 85 members, that evolves around the performance of American composer Donald McCullough’s Holocaust Cantata: Songs from the Camps. 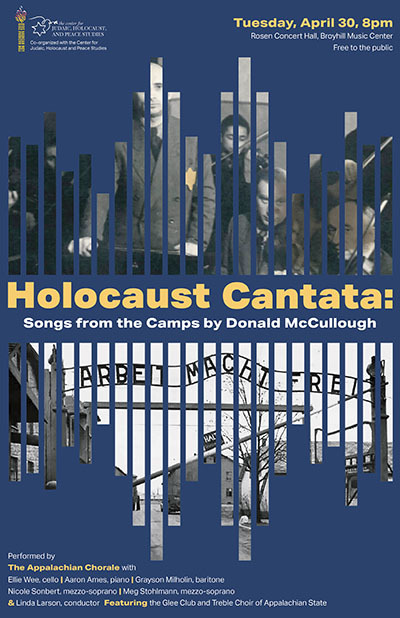 The Cantata, which had its world premiere in 1998, is based on materials drawn from the archives of the United States Holocaust Memorial Museum. 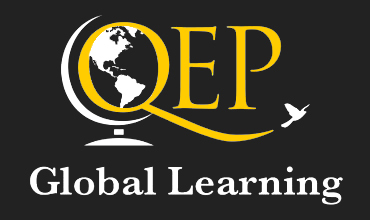 The performance begins at 8:00 pm on Tuesday, April 30, in Rosen Concert Hall on the ASU campus. It is free of charge and no tickets are required. The Center for Judaic, Holocaust, and Peace Studies collaborates with choir director Dr. Linda Larson (Hayes School of Music) to bring this important event to campus and begin this year's Days of Remembrance. The Appalachian Chorale will be joined by two guest choirs, the Appalachian Glee Club and the Appalachian Treble Choir. The performance of the Holocaust Cantata will feature Dr. Ellie Wee on cello and Aaron Ames on piano. Vocal soloists include mezzos Nicole Sonbert and Meg Stohlmann, and there will also be spoken text read by members of the community. ASU's annual Week of Remembrance culminates in the Yom HaShoah commemorations on May 1-2 that include eight hours of readings of names of many of the European Jews murdered by the Germans and their allies. To participate in the readings, click here Yom HaShoah Webpage. For more information about the performance of the cantata, contact Linda Larson at larsonll@appstate.edu or the Center at holocaust@appstate.edu or 828.262.2311.